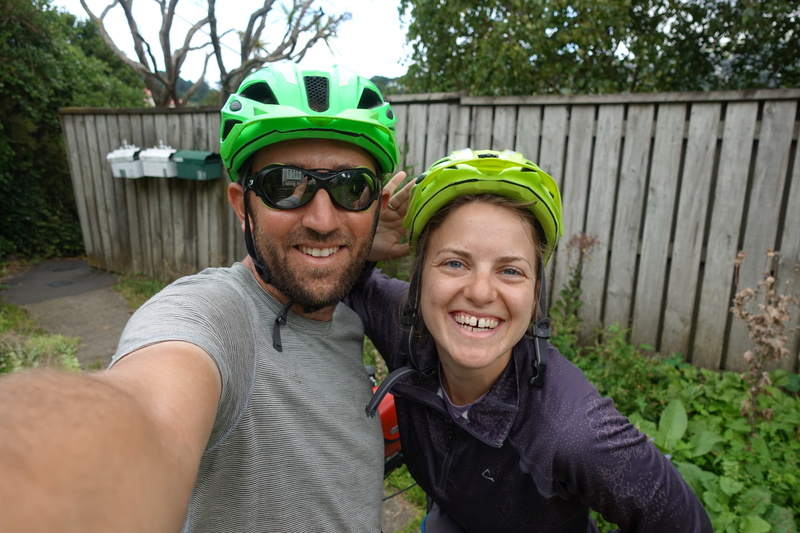 After two days in Wellington, where we explored the city and wandered around new Zealand’s Te Papa national museum for a few hours, Cédric and I were eager to hop on the ferry to Picton and start cycling again. 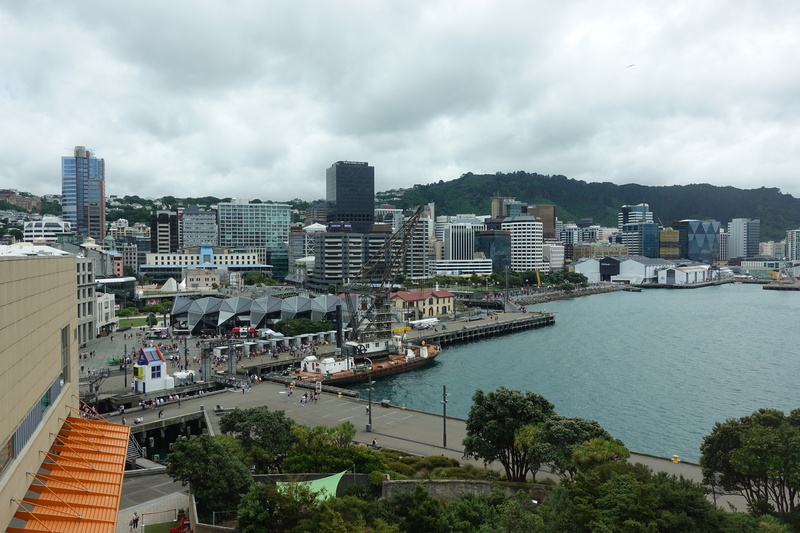 Wellington is probably a nice city to live in, but not much interesting to visit for the traveler. 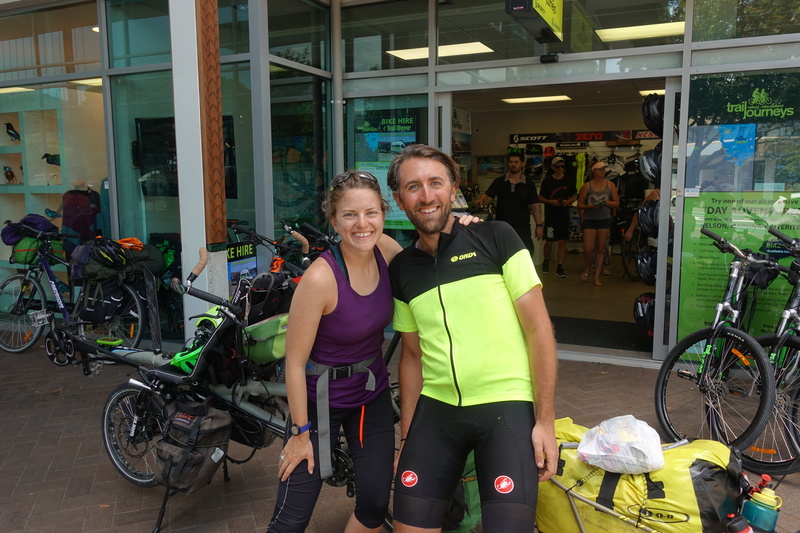 We however managed (after 5 different bike shops) to get a new chainring – the current one almost blowing up Cedric’s legs veins in steep gradients and being a little worried to have to drag up the tandem across half of the southern island. 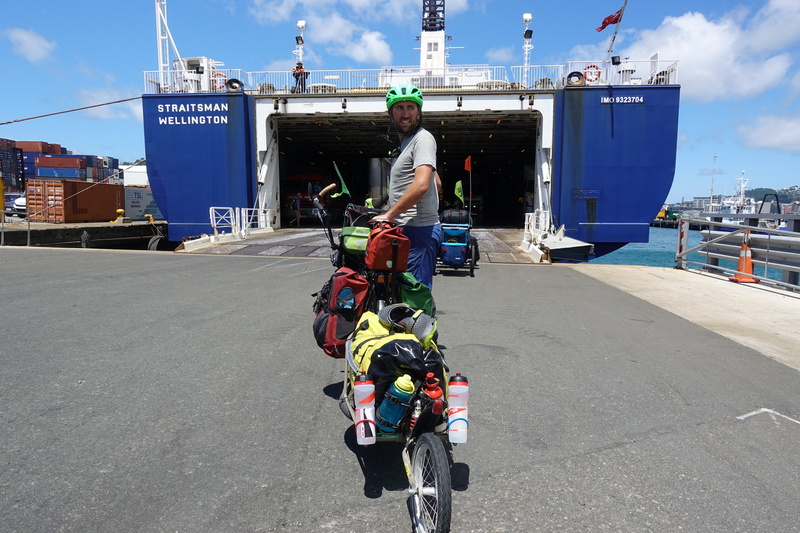 On Wednesday morning, we set out with a fellow biker we met on the ferry with the idea of cycling along the coast. 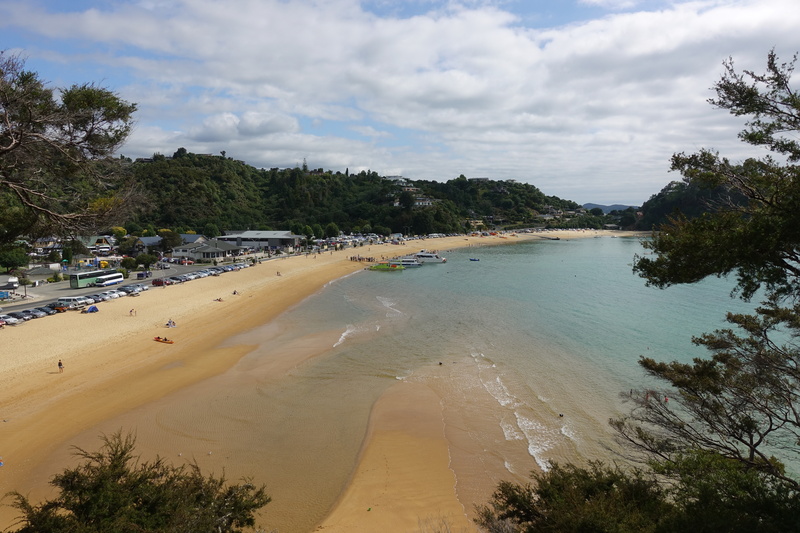 Straight out of Picton, the Queen Charlotte Drive was much welcomed after dealing with busy highways on our last few days of the North Island. 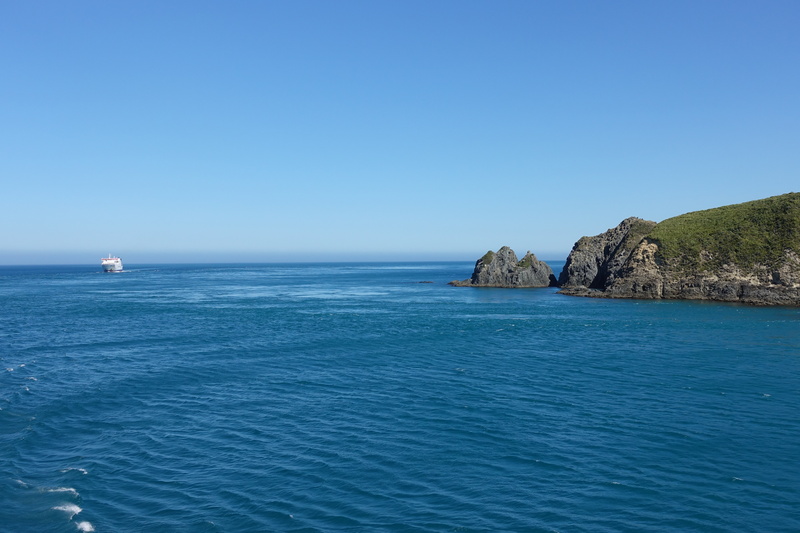 The sights were also much better – we had an amazing view over the sound and were able to see precisely how hilly and mountainous the South Island actually is. Our lunch stopover was in Havelock, known for its mussels, and Cédric and I were kicking ourselves for already purchasing lunch foods when Moules Frites (mussels and French fries) sounded much better. 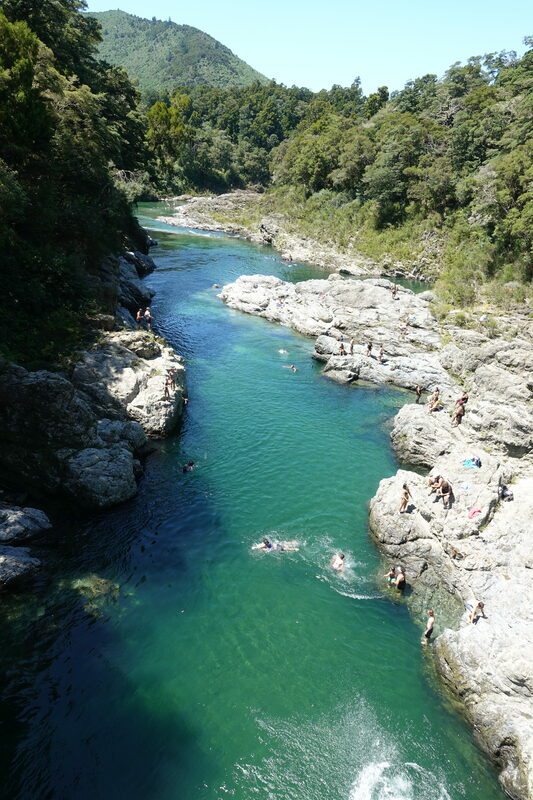 The day continued along the road to the Pelorus Bridge and we had a much-deserved ice cream and coke stop before spending our night at a riverside camp near Rai Valley. 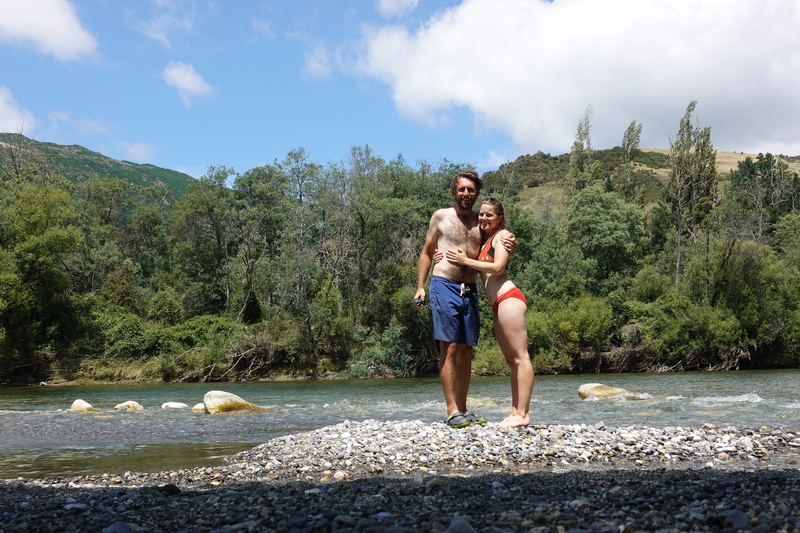 We find the rivers in the South Island to be crystal-clear and refreshingly cold (almost too cold) – so it was nice to cool at the end of the day and watch the huge eels swim alongside us. The next day started off rough, with two large ascents before we reached Nelson. The ascents were slow and progressive, but the other side of the pass was much more winding, which allowed us to enjoy the views and cool off. 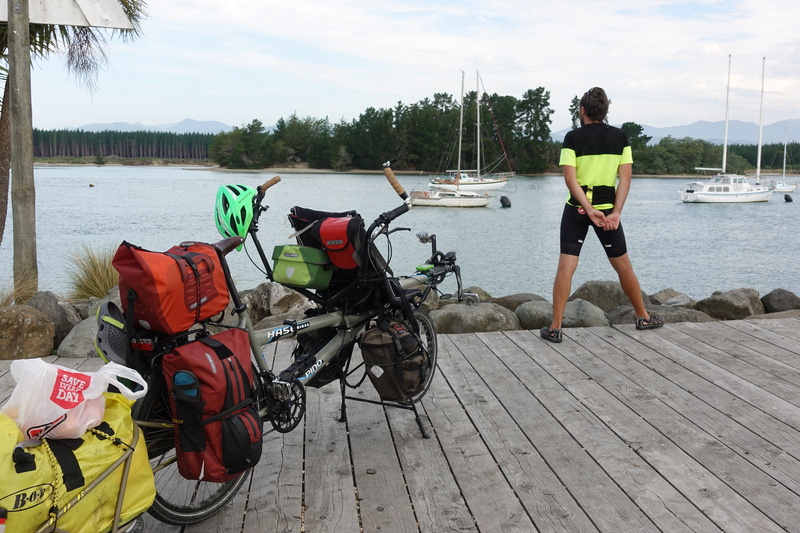 We reached Nelson around noon to gather information for the upcoming days, a lower chain ring, and food. Once we set off towards Richmond, we found a wonderful bike path that took us through neighborhoods on an old rail line (as opposed to the congested main road). 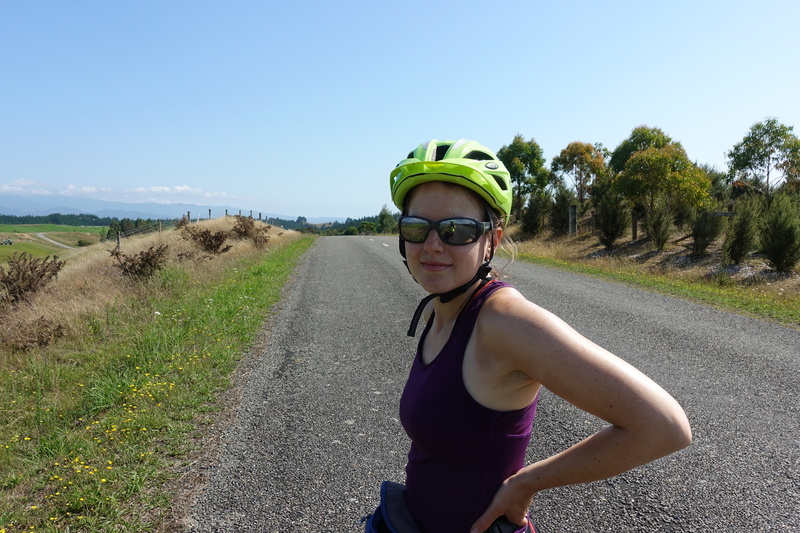 However, that ended after Richmond as we joined the weekenders and trucks down the road 60 towards Mapua. 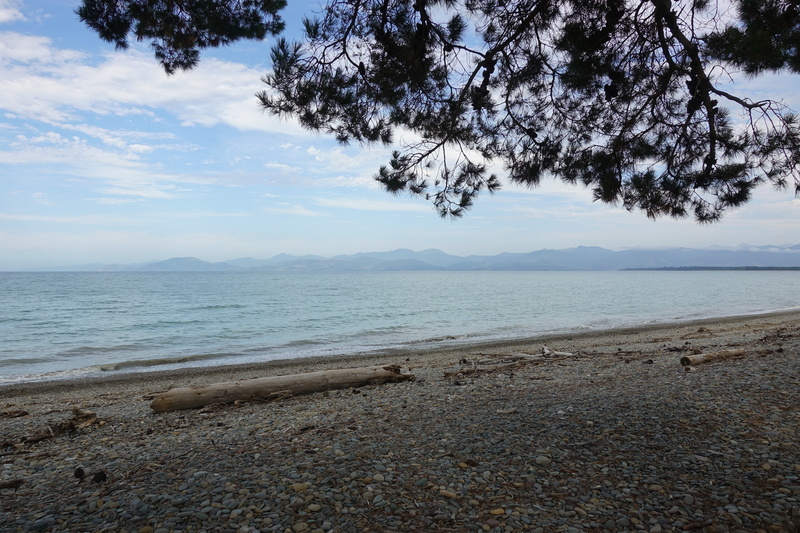 Our reward was a nice mussel-onion-cheese pasta dinner (invented by Chef Cédric on the MSR stove) next to the beach. Once Thursday arrived, Cédric and I had very little idea on what to do or where to go. 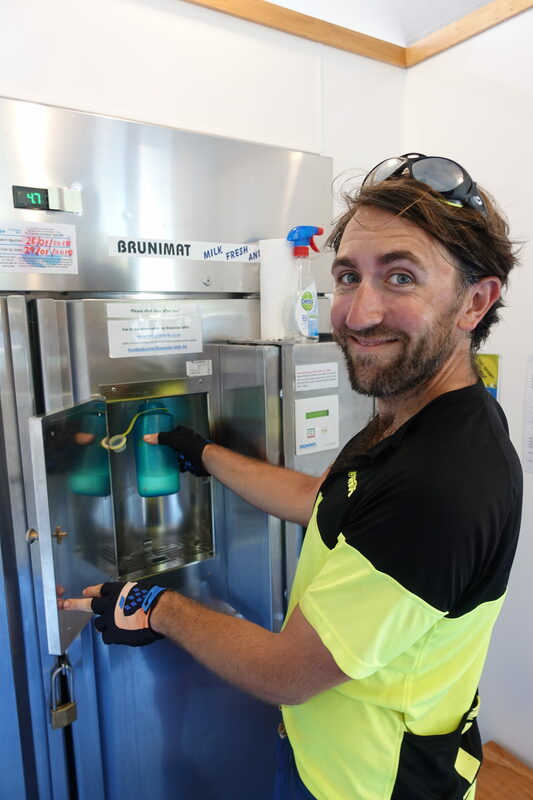 At the advice of our friendly neighbor and the Argentinean cyclists that we’ve been somewhat accompanying, we headed through Motueka to a place called Resurgence Spring. 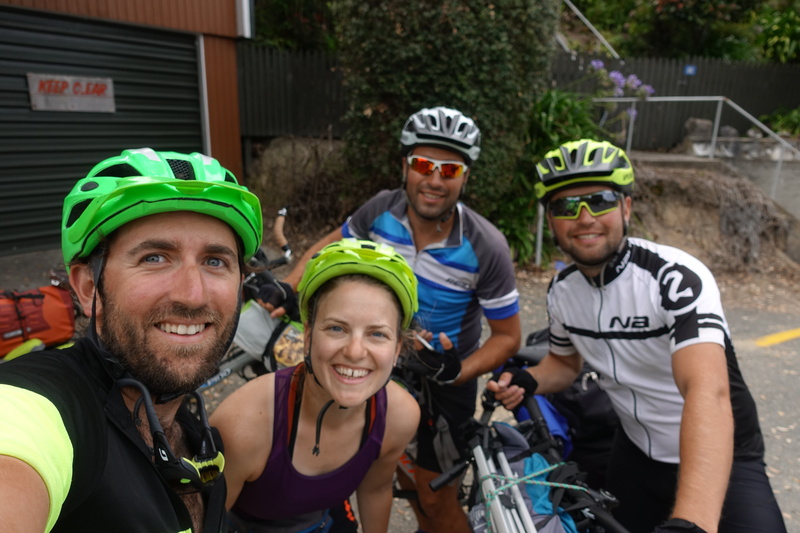 We got back on the road and decided to follow the region’s “Great Taste Cycle Trail,” which brought us to an off-road track high above in the hills, it was equally an adventure to cycle up with our rig as plummet back down the road. 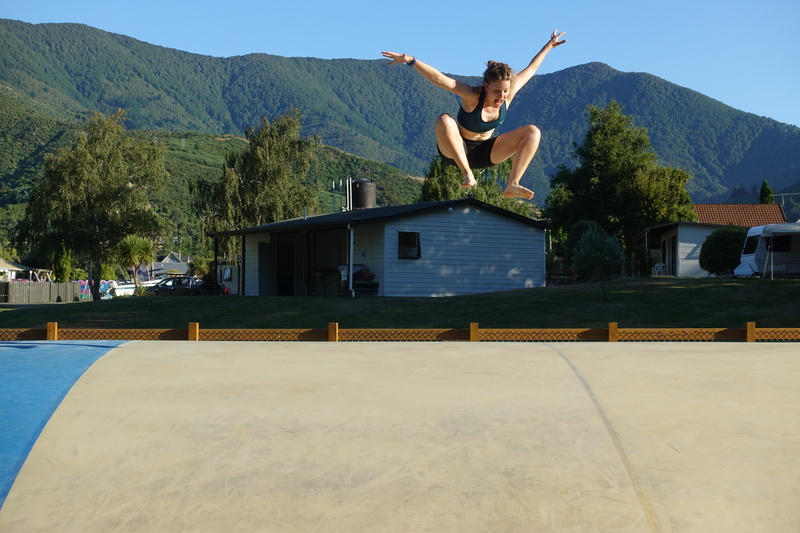 Just imagine – 200 kilos of man, bike, and gear hurdling down a rutted-out road. 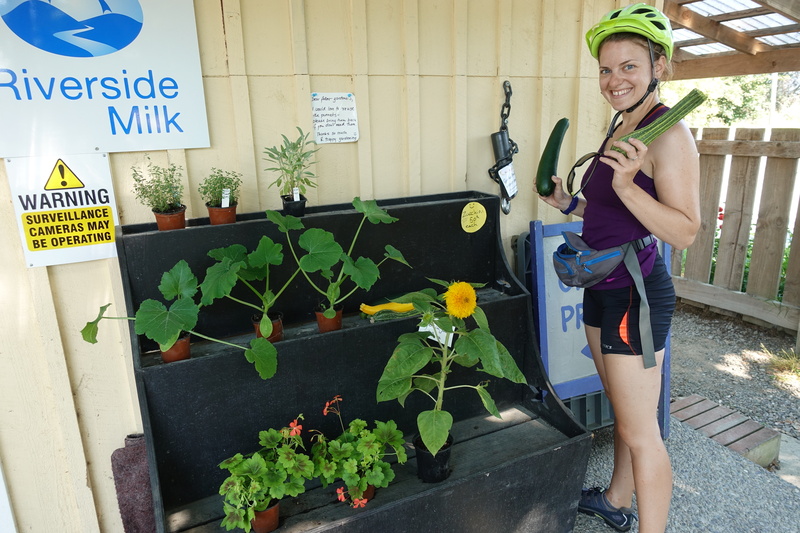 Once we reached the road again, we found a farm stand where we could get fresh locally grown veggies and raw milk from a dispenser. Lugging around cold raw milk probably wasn’t the best idea on a day as warm and sunny as this one, but we couldn’t resist the temptation. 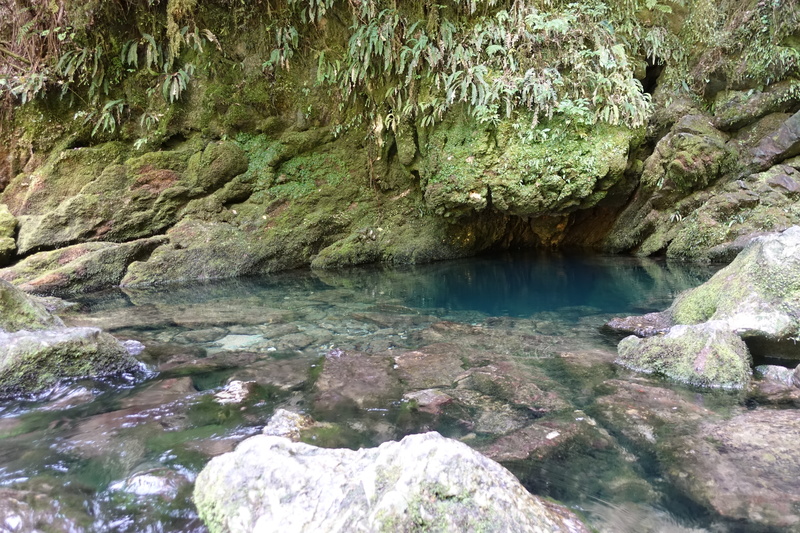 Our lunch stop was at the Resurgence Spring, a sacred site for the local Maori. 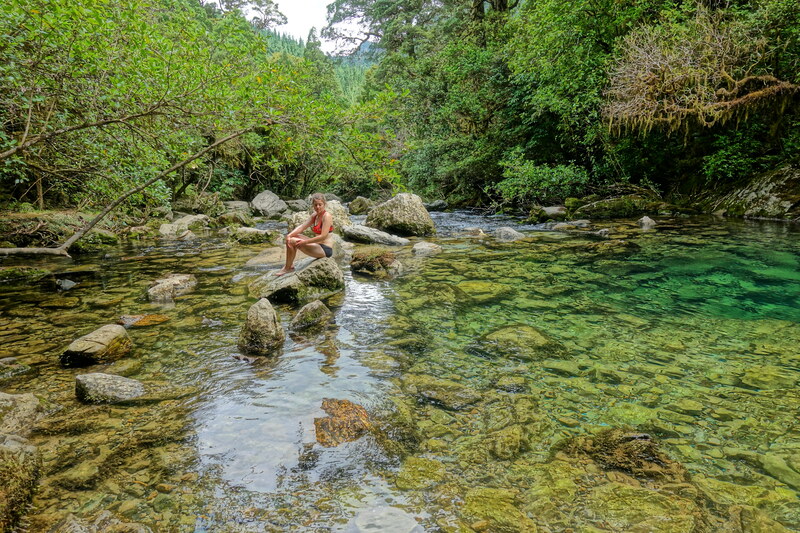 A bit down from the source, you could jump into the freezing waters, but Cédric and I couldn’t put our feet in for more than 10 seconds before they cramped up – so we simply watched the children jumping in as we wandered around and ate our lunch. 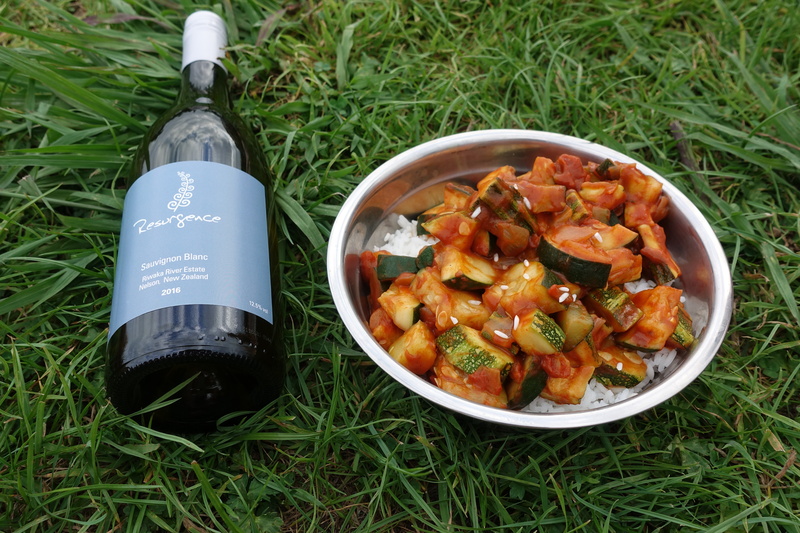 As we headed towards our end goal, Marahau, we stopped off at a tiny vineyard to get a bottle of wine for the end of our day (checklist: drink NZ wine -> done). That may have been a questionable decision, since that bottle of wine became extra weight for the very steep climb up road (over 10 % incline, right after a wine tasting…). 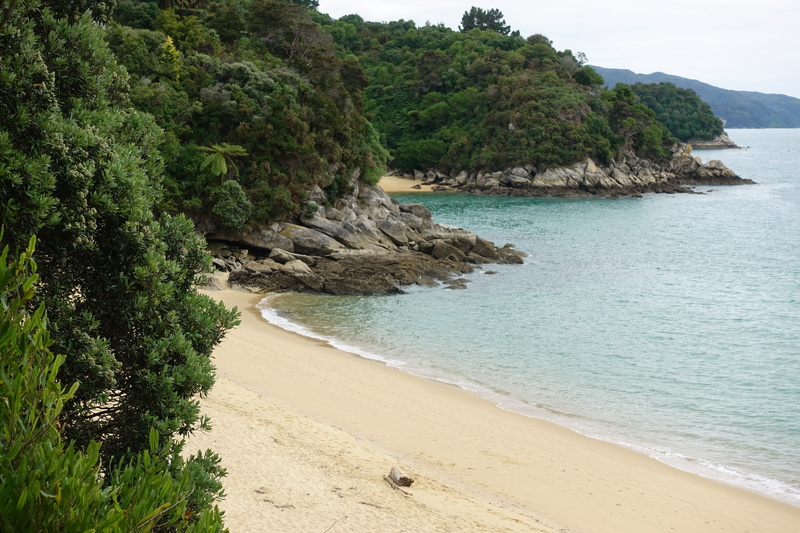 Once we made it over the saddle, we enjoyed the winding ride down and coastal road before ending at the foot of the Abel Tasman National Park. This morning, thanks to the very honest opinion from our neighbors at the campsite, we decided to forego a hike in the national park, and instead make our way inland again. 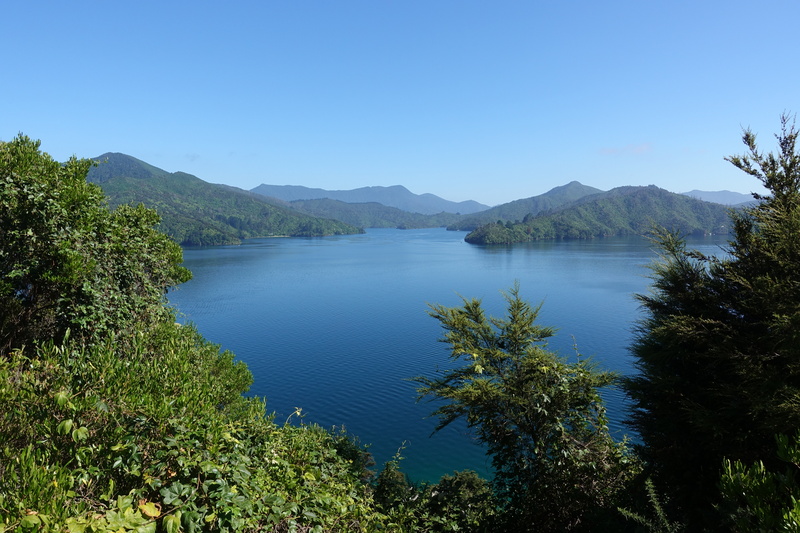 Our neighbors said that although beautiful, the boat ride into the park was expensive, and the trek was a similar “life-changing experience” as the Tongariro Crossing (see previous post). 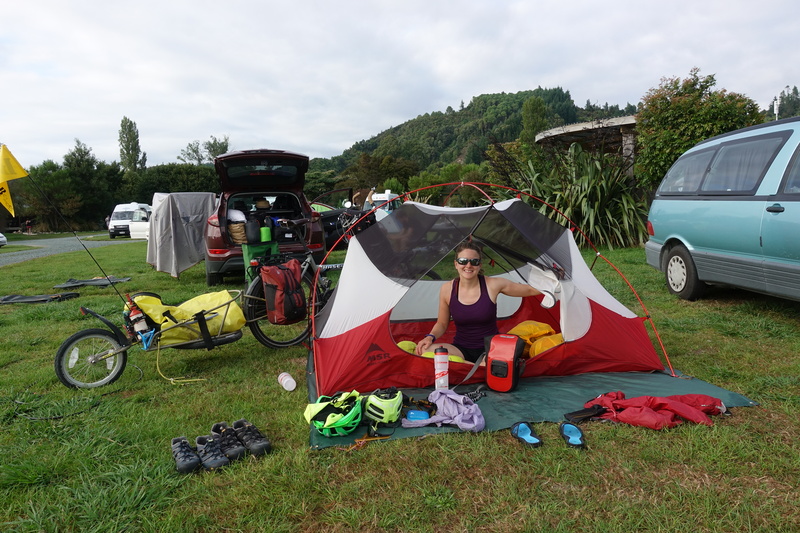 We passed through Kaiteriteri before finding the lovely Motueka River West Bank Road, which took us through pastoral landscapes and provided us with a wonderful lunch spot in on the bank of the river. 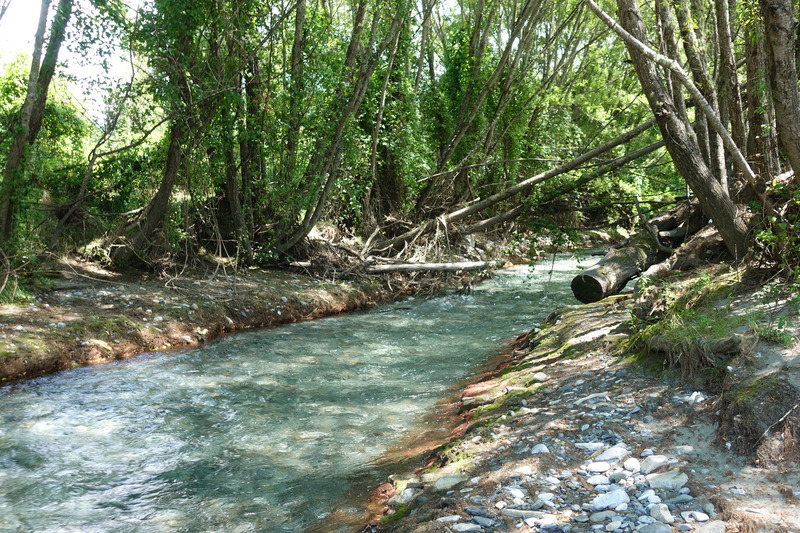 There, we took our time as we ate lunch and waded in the cool waters. This time, the waters were a bit warmer and I managed to at least sit in the water on the shore (submerging our bodies was still unappealing). We’re now camping (with WiFi!) in Tapawera, where we might join the locals in watching the sheep shearing contest later this evening. Nice pictures. Glad to almost live your daily adventures. You look fit and happy. How smaller is your ring today? 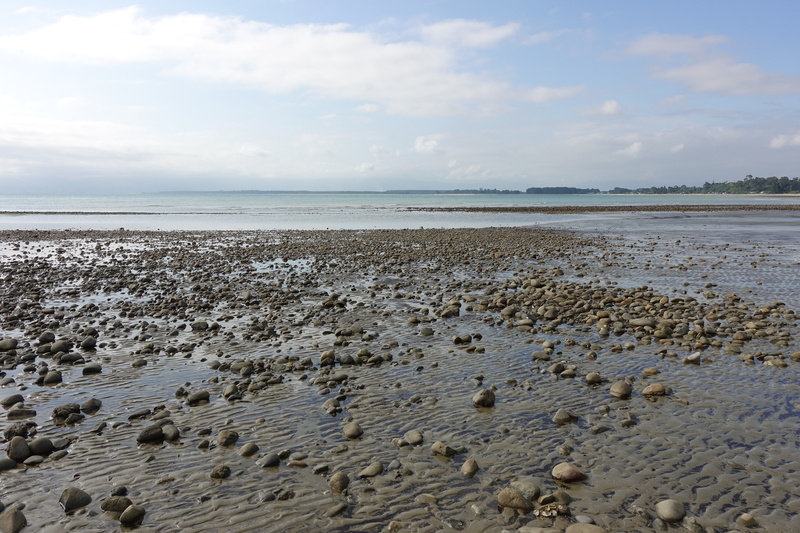 We hope it will be small enough to ease the rest of your journey in the southern New-Zealand. Here everybody is ok. Look forward to following your next days. Big kisses from both.